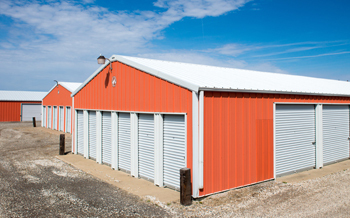 Scherer's Mini Storage offers a wide range of indoor and outdoor storage units with 24/7 access for your commercial or personal needs. Scherer's Mini Storage provides custom storage services, including RV, boat and trailer storage. Ask about specially-designed RV storage sheds. With round-the-clock security, you can sleep easy knowing that your valuables are safe at Scherer's Mini Storage. Scherer's Mini Storage is the area's premiere self storage company in Pekin, IL. Since 1978, Scherer's has provided Pekin, Peoria, Tremont, Morton, Bartonville, and the surrounding areas with affordable storage solutions, earning an unmatchable reputation for their friendly customer service, secure facilities, and convenient location. Scherer's offers a wide range of indoor and outdoor storage units, including specially-designed RV storage sheds, with the experience and the know-how to safely secure anything, no matter how big or how small. Whether you need commercial self storage for your business or boat storage for the winter, you can rest assured that your belongings are in good hands at Scherer's Mini Storage. Located on Route 9, Scherer's Mini Storage has the perfect storage space for you. For all of your self-storage needs contact Scherer's Mini Storage in Pekin today! Why use Scherer's Mini Storage? Guaranteed to beat the price of any other storage facility, Scherer's Mini Storage makes self-storage cheap and easy, helping you free up space in your home without breaking the bank. 24/7 Video Surveillance - With round-the-clock security, you can sleep easy knowing that your valuables are safe at Scherer's Mini Storage. Scherer's Mini Storage is conveniently located 2 miles east of Pekin's Walmart on Route 9 — easy to find and easy to access with a wide drive. Plus, renters have access to their units 24/7. With 400 storage units, Scherer's Mini Storage offers a variety and sizes of storage spaces from indoor to outdoor trailer parking to specially-designed RV storage sheds. © 2016-2018 Scherer's Mini Storage Inc. & "Lil" Barns. All rights reserved.